I am currently developing a Chemistry based mod. Is in a very (very very) early stage, I spent most of the time building a small infrastructure for it. 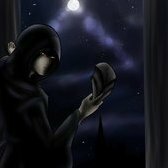 If somebody is interested in helping out (testing, playing, giving feedback, suggesting features, developing, painting, ...) that would be awesome. 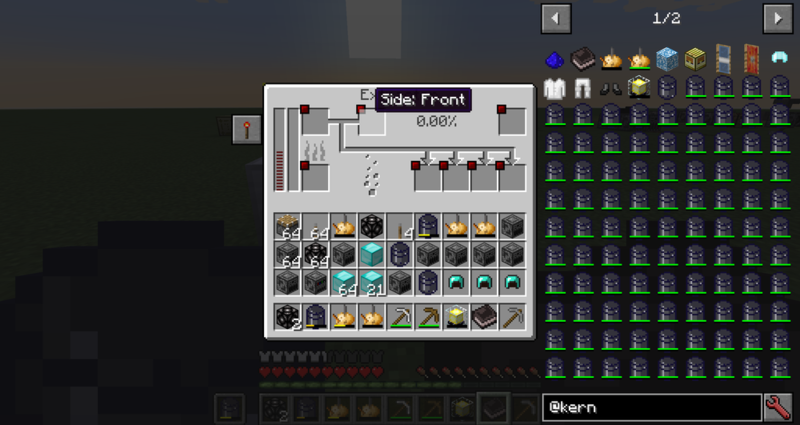 Keep in mind is for 1.11.2. I am looking for people to have fun creating the mod with (do not need to be experts). 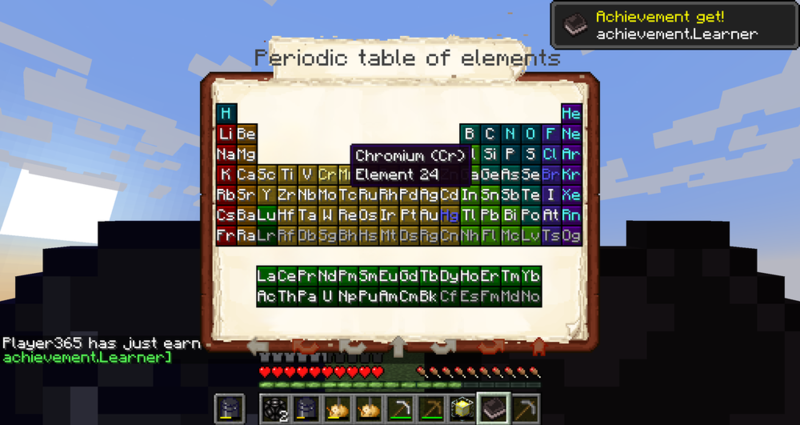 Main idea: bring elements to the Minecraft world. The mod must be fun and instructive (and possibly late game OP). elements that we can use in various manners. Such as crafting, special effects, etc... This is the basis of all. A portable beacon, you fill this with Elements and get various effects depending on the element. The standard applies: there is some early support for JEI, Baubles and I will to use Forge Energy/Tesla. 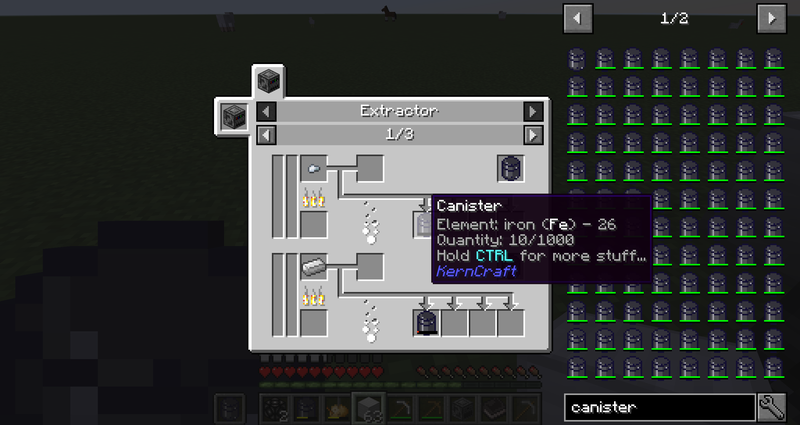 Extractor JEI interface, standard (a Canister is the default container, I also plan to differentiate between solid/liquid/gas containers). because why not? 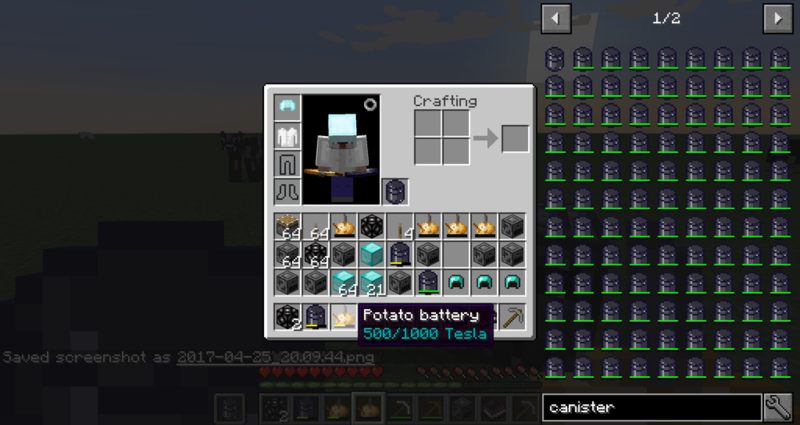 I plan for the potato battery to be the kickstarter of the mod (the items that let's you start with the mod). 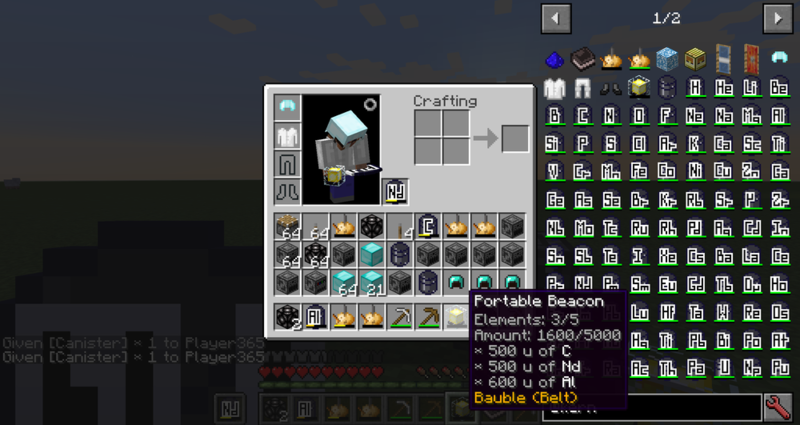 Baublyfied Portable Beacon, my proudest creation so far. Uses elements to give you abilities. 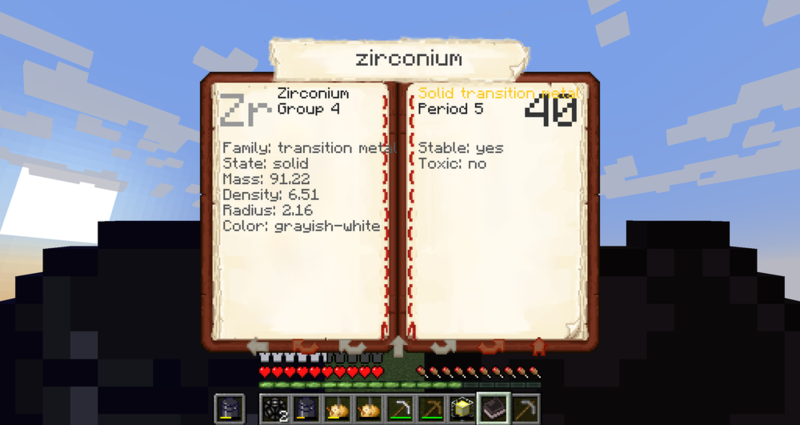 ...and pages for each element.